What? A post on a Thursday? I know, so weird but so necessary. You guys know I love my movie reviews here on the Muse. And I'm actually kind of surprised that I never reviewed this film on here before. 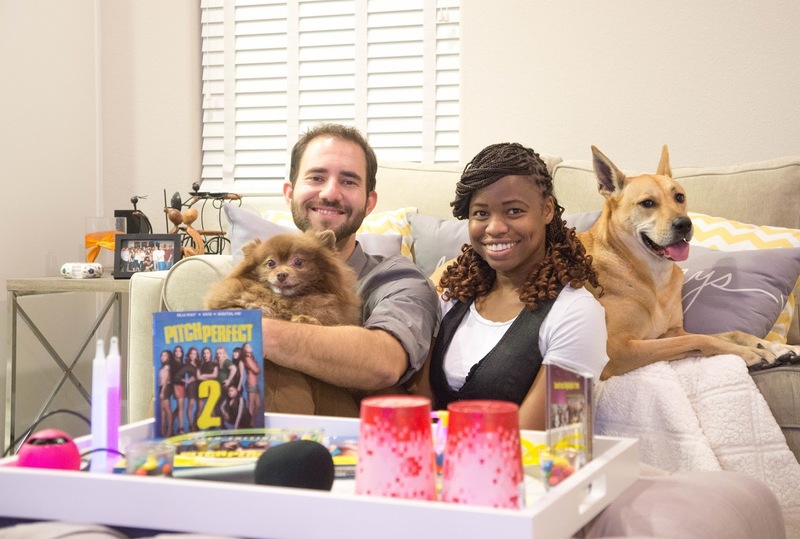 But Pitch Perfect 2 just came out on Tuesday and it deserves its own spot on the blog. The hubs and I saw this movie when it was released in theaters, and we loved it so much that we just had to own it. You might have seen my post on Instagram sharing my excitement! A cappella is great, but it's even better when listening and singing along at home with the dogs. We enjoy all the fun mashups, especially during that singing battle with the Green Bay Packers. If you don't know what I'm talking about then you have to head to Walmart and pick up the exclusive Blu-Ray/Soundtrack combo pack like I did! And what really makes the soundtrack combo pack so great is that it features your favorite songs from both Pitch Perfect 2 and Pitch Perfect. I'd have to say the most well known song from the original movie is "Cups" and the big finale song from the second film is "Flashlight" so I thought I'd do something fun incorporating those two songs. Just get a few glow stick flashlights and put them in some cups and you're basically Anna Kendrick. The fun thing is, you can use these party favors for upcoming gatherings like Halloween and the holidays. Trust me, it's always fun to bring out the Pitches! And how cool is it that I just happen to own a white shirt and vest that's so similar to the ones the Barden Bellas wore during their competition. 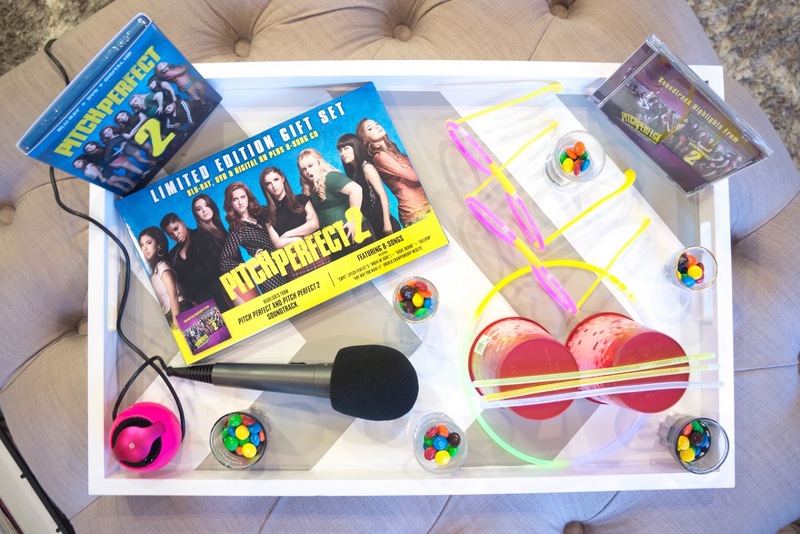 Be sure to head to Walmart and grab the exclusive Pitch Perfect 2 Blu-Ray/Soundtrack combo while supplies last. It's the best movie (and music) for a date night, girls night in, or a fun night with your kids! 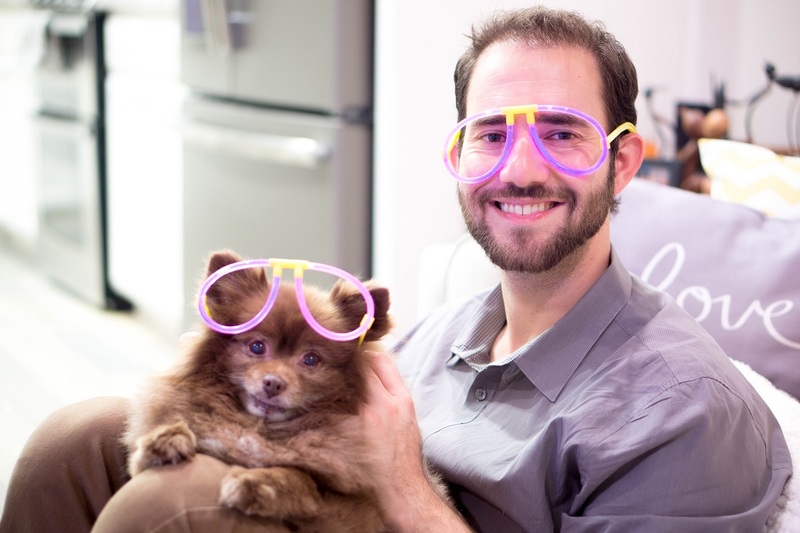 And for us, our pupstars are our kids, and they seem to be having a good time. This movie night looks so fun! I need to see that movie! You look like you are having a wonderful time! Your dogs are so cute! Now that looks to be a fun night in your household! I loved the first movie, but haven't seen the second one yet. Thanks for sharing! hadn't heard of this film prior, but I ought to look it up. You look great - adore the braids and that radiant smile! Looked like a lot of fun! Still haven't seen it - but can't wait to catch up! I haven't seen the movie yet but will try to see it soon!